From chocolate wine (yes, that’s what I said) through to luxury vegan truffles, ruby bean bars, lollipops, kisses and body scrubs, the Brighton Chocolate Festival showcases some of the chocolate industry’s fastest growing trends. However, if this fledgling event can be taken as a microcosm of the chocolate sector as a whole, then it is artisan bean to bar producers who are the brands to watch. 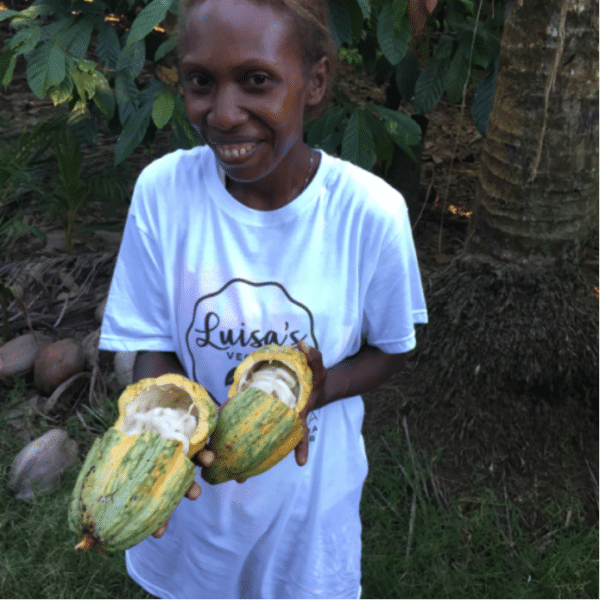 The majority of chocolatiers at the event were from small, ethical independent companies who buy their cocoa beans direct, predominantly from small, family-run farms. 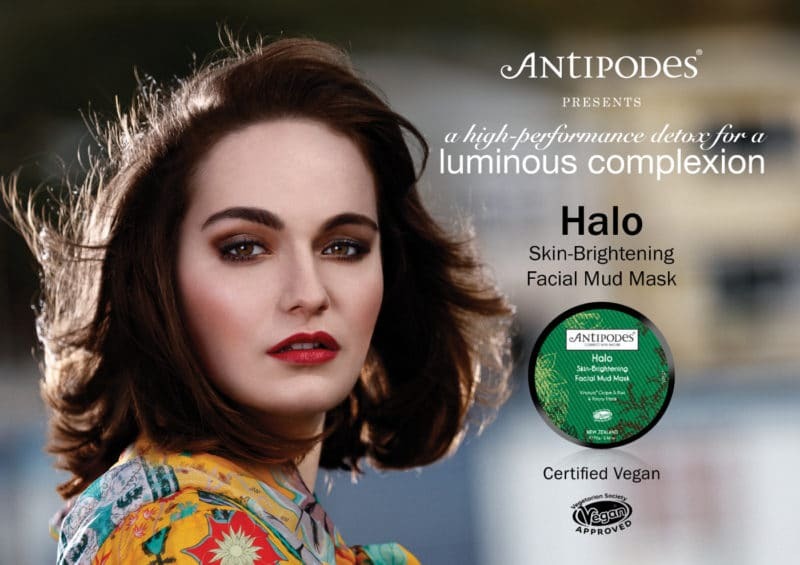 In fact the organizers of the show say the aim of the event is to highlight ‘sustainable, ethical products, with traceability, and made with human compassion for those who work in the cocoa fields to bring this luxury item to market’. 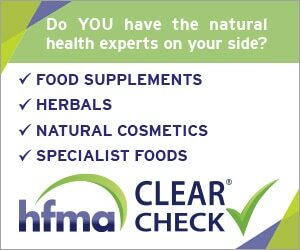 In light of this demand for ethical products, more manufacturers are setting their own standards, and Euromonitor believes the announcement by Mondelez of its planned expansion of the Cocoa Life sustainable sourcing programme has ‘sparked uncertainty over the future of Fairtrade and other traditional certifiers’. 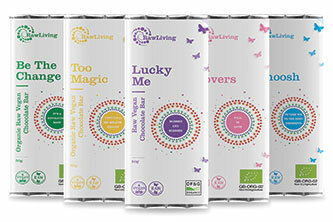 The Cocoa Life logo is now displayed on Dairy Milk and, more controversially, Green & Black’s. In December 2018, Fairtrade International announced that it would raise the Fairtrade minimum price from $2,000 to $2,400 per metric tonne for conventional cocoa and also increase the Fairtrade Premium from $200 to $240 per metric tonne, the highest fixed premium of any certification scheme, says the organization, adding that this amount is on top of the selling price and is paid directly to farmer organizations. However, this doesn’t go far enough for many in the industry. Cacao for Change founder Fernando Morales-de la Cruz believes the prices are still unreasonable. “Fairtrade International’s new floor prices for cocoa and organic cocoa are unfair because they perpetuate poverty,” he says, adding that he believes they should be 30 times higher. 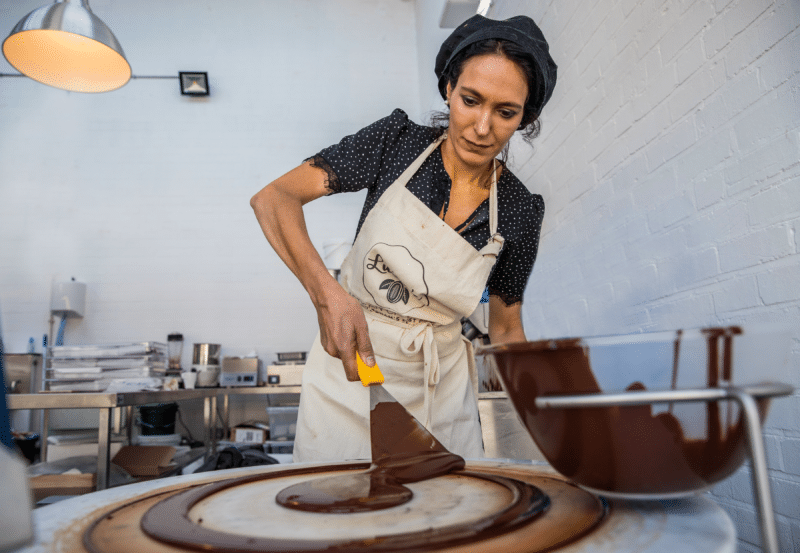 “We know each and every one of our farmers and we buy directly and pay directly,” says Luisa Vicinanza-Bedi, founder of Nottingham-based Vegan Chocolate By Luisa, which launched last year and also exhibited at the festival. “We know our farmers receive at least twice the average farm gate price for cocoa, whereas certified cocoa such as Fairtrade, Rain Forest, UTZ only pay 10-15% more than the farm gate price. We visit the farmers personally to assess the quality of the cocoa they produce and set contracts to buy the cocoa. We pay a super-premium for super quality, and most of our farmers are using the money to expand their production in the traditional way. We’re working with them on the fermentation, on the whole crop system so they multicrop and don’t destroy their own crops just to grow cocoa – so that it’s fully sustainable. We visit the farmers personally to assess the quality of the cocoa they produce and set contracts to buy the cocoa. We pay a super-premium for super quality, and most of our farmers are using the money to expand their production in the traditional way. Provenance is becoming increasingly important to chocolate consumers not only due to the sometimes questionable ethics of big brands (Nestlé in the US is being sued for allegedly importing cocoa beans from suppliers who use child labour, including trafficked and forced child labour) but also because of how the origin of the beans affect taste. And this is where small chocolatiers are really coming into their own. 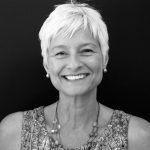 “As references to provenance have become prevalent in premium chocolate, going a step further and educating consumers on how the taste of the chocolate is influenced by the origin of the cocoa beans could help brands connect with consumers on a connoisseur level,” notes Anita Winther, Mintel research analyst. One of the buzzwords within the quality chocolate arena is ‘single origin’, however this phrase can be confusing for consumers. So what does it really mean? 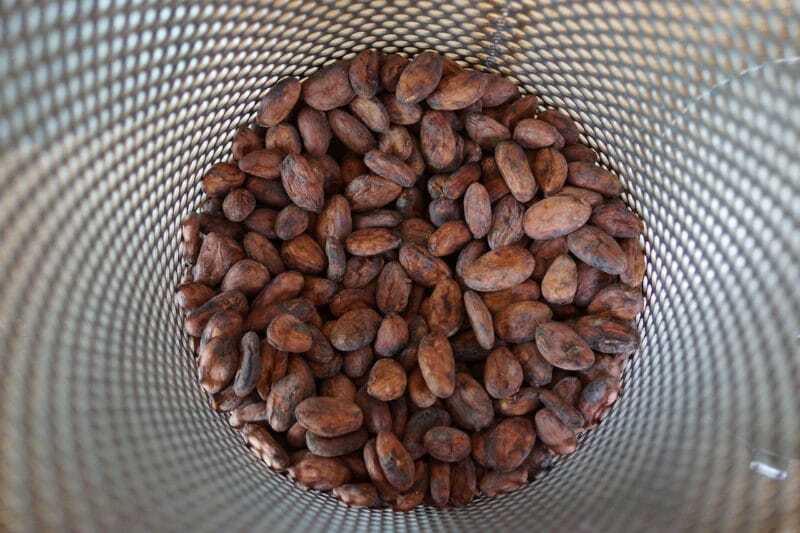 Hull explains: “Single origin generally means cocoa beans from a single country – chocolate made with cocoa beans from Madagascar will be dramatically different in flavour to that of chocolate made with beans from Peru for example, without needing to be flavoured. This flavour diversity is due to different growing conditions such as soils, genetics and climates; cocoa is a fruit after all! 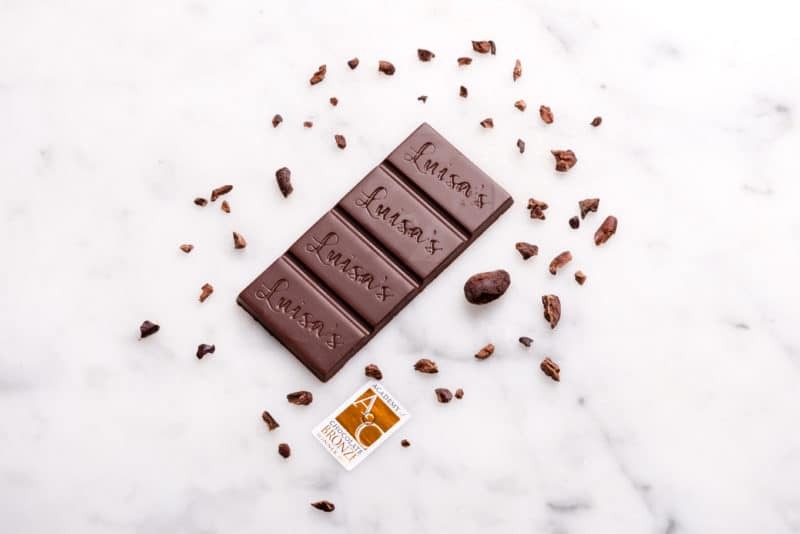 But for those who do yearn for a substitute for milk chocolate, Vegan Chocolate By Luisa has just launched a new product called casholate – the brand’s first vegan nut milk chocolate made with cashew nuts and positioned as a dairy alternative chocolate. A more extensive interview with James Hull can be seen at https://wp.me/p9ipTI-a6V. In 2017 the Belgian-Swiss cocoa company Barry Callebaut introduced what it describes as the fourth type of chocolate: ruby. Produced from the ruby cocoa bean, the chocolate has a naturally pink colour and fruity berry flavour. “The fourth type in chocolate offers a totally new taste experience, which is not bitter, milky or sweet, but a tension between berry-fruitiness and luscious smoothness,” says the company. Its first foray into the mainstream was through Nestlé which launched Kit Kat Ruby in April 2018, and now small bean to bar manufacturers are incorporating the bean into their offers. Handmade chocolate brand Chococo, based in Dorset, for example, has created a 47% Ruby Chocolate Mini Bar – described as having fruitiness and fresh sour flavour notes – using cocoa beans from Brazil, Ecuador and the Ivory Coast. Ethical chocolate brands are not just fairly trading but also increasingly aligning themselves with charities. New bean to bar vegan chocolate brand The Well-Bean Company, for example, supports mental wellbeing projects using profits from its chocolate sales. 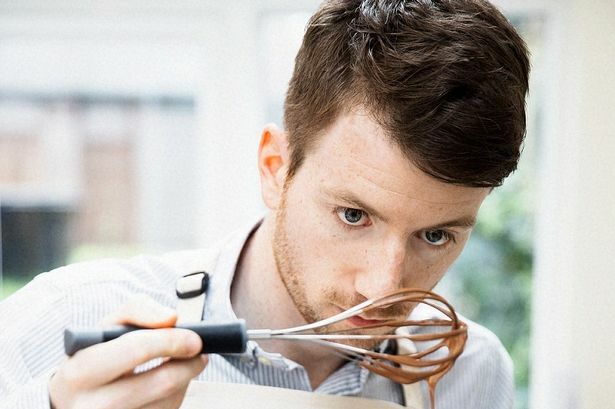 With the slogan ‘handcrafting chocolate, from bean to bar to brain’, the London-based brand was founded by Charlie Claydon, who believes in bringing about positive change by creating healthier food for the body and mind, raising awareness of mental health. The company also aims to provide a safe and inclusive workplace for everyone, including those with mental health problems, and launched with its own take on a sweet shop favourite: an organic Snyckers Bar. 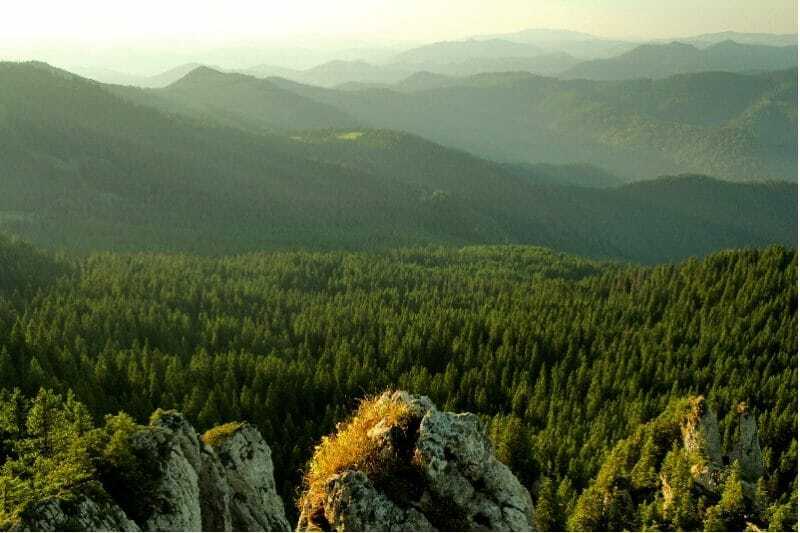 Of the Earth Superfoods Organic Cacao Nibs are delicately broken-down chunks of the cacao bean, one of nature’s greatest sources of anti-oxidants and rich in many minerals, particularly iron and zinc. 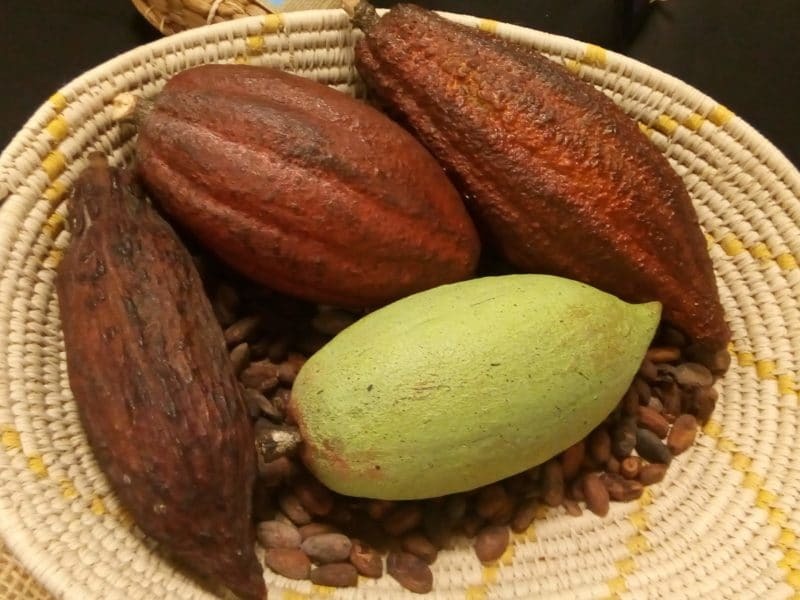 Cacao was originally used by the ancient Aztecs for its mood lifting properties and general source of nutrition such as being high in antioxidants and an excellent source of minerals. 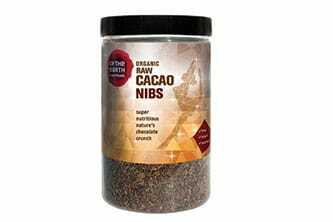 Of the Earth Cacao Nibs can be enjoyed straight out of the jar, or try adding to smoothies, ice cream, cereal and pancakes for some added crunch. Substitute for chocolate drops in cookies or even try grinding with your coffee next time! 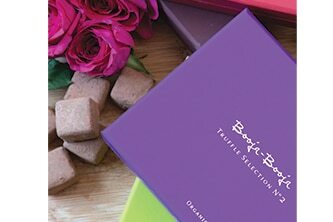 Fall in love with beautiful Booja-Booja chocolate truffles this Valentine’s Day. Handmade in Norfolk and winners of numerous awards, Booja-Booja chocolate truffles are made with just a handful of simple, organic ingredients, and blended to perfection to create heavenly little bites of deliciousness. The beautifully designed range has chocolate boxes in all sizes, from Six Truffle Treat Packs, the perfect little love token, to new 104g Almond Salted Caramel and stunning gift boxes with guaranteed wow factor. Delectably dairy free, gorgeously gluten free and exquisitely organic, melt that special someone’s heart with these exquisite melt-in-your-mouth chocolate truffle vegan treats. The first product in Moo Free Chocolates’ new premium range – marvellously moreish. 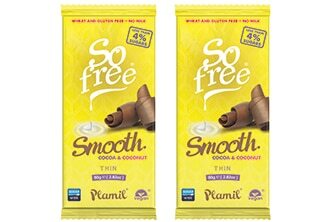 As with the rest of their chocolates, Moo Free’s newest assortment is certified vegan and entirely free from dairy, gluten and soya. 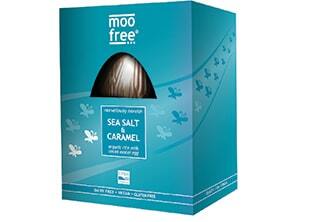 Crafted with their multi-award winning organic ‘milk’ chocolate, vegan caramel and flakes of Portuguese sea salt, this Easter egg exemplifies fine ‘free from’ chocolate. A little bit of sweetness goes a long way. Raw Living have been in the chocolate game since 2005, and this latest incarnation of their superfood-filled bars takes it to a whole new level. 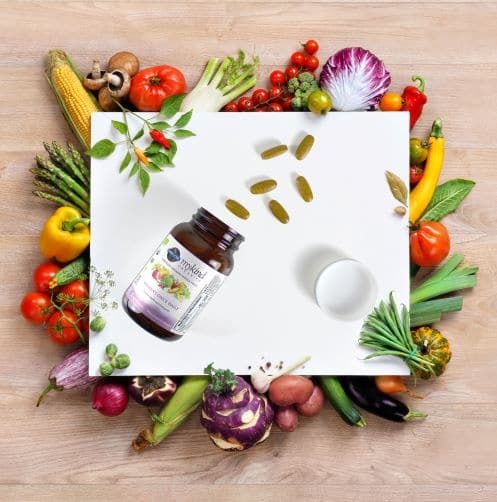 Properly medicinal doses of potent ancient foods are what sets their bars about: ingredients like ashwagandha, reishi, shatavari and gingko take centre stage in the experience. Using only truly raw cacao, and sweetened with evaporated cane juice crystals (a natural sweetener which is raw and vegan and low glycemic! 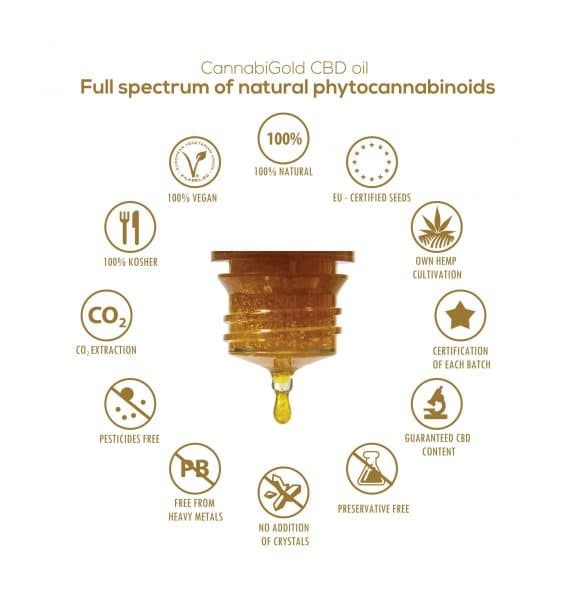 ), choose from LuckyMe (blackcurrant & ashwagandha), Too Magic (turmeric & ginger), Be the Change (reishi & Klamath Lake microalgae) , HiLovers (rose & shatavari) and Whoosh (vanilla & maca). 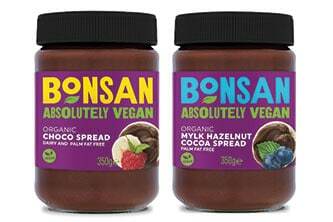 Bonsan Vegan Chocolate Spreads are naturally delicious, organic and free from palm oil. Choose from two deliciously indulgent flavours; Plain Choco or Mylk Hazelnut. Made from creamy cocoa butter and cocoa powder, these spreads are seriously tasty when spread thickly onto toast, drizzled over hot porridge, or eaten straight from the jar!